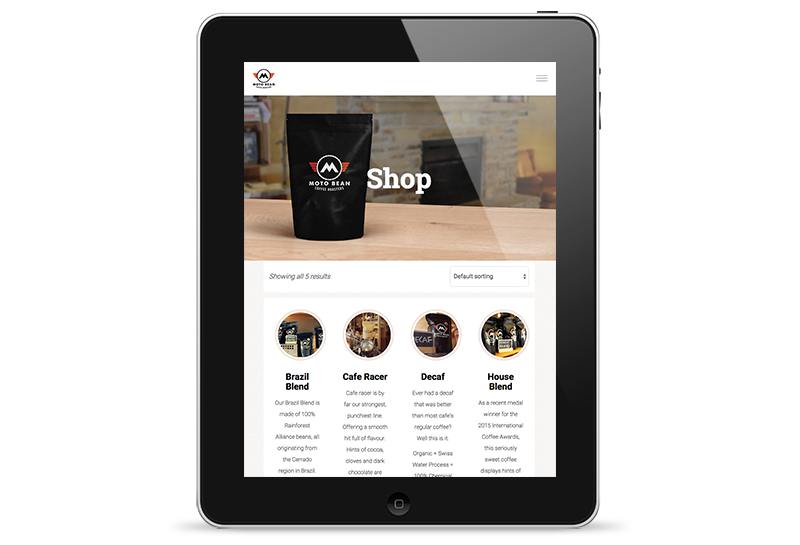 I had the pleasure of working with the talented crew at Moto Bean Coffee Roasters to create their new brand, logo, responsive e-commerce website and collateral. 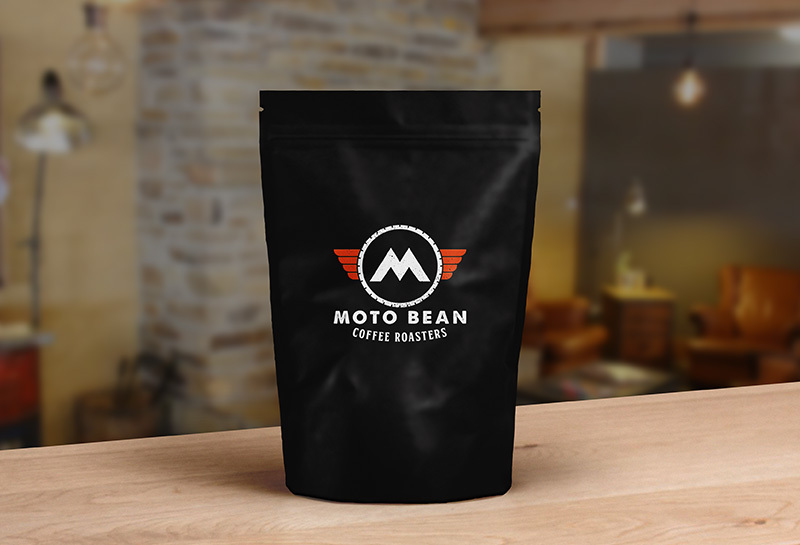 The brand design gestures toward the vintage motorbike, cafe racers and classic cars amongst which Moto Bean craft their award-winning coffee. 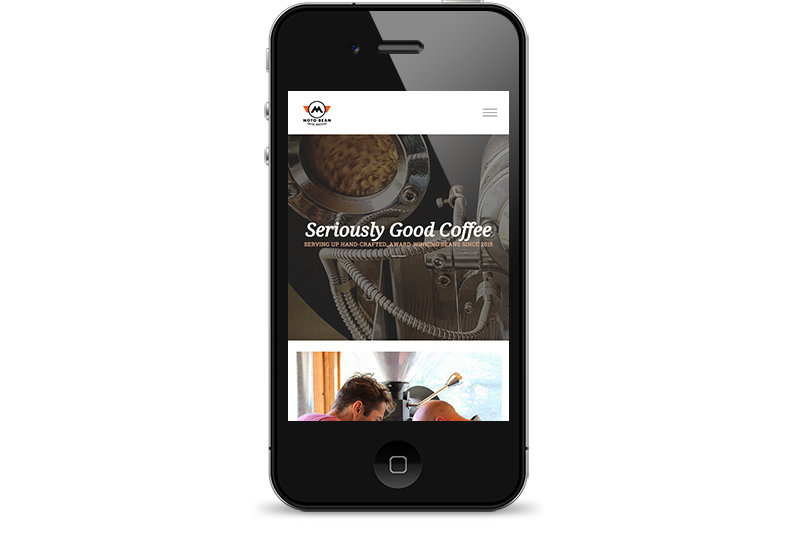 Vintage typography and layout techniques tip their hat to industrial minimalism and meld to create a brand packed full of character and personality. 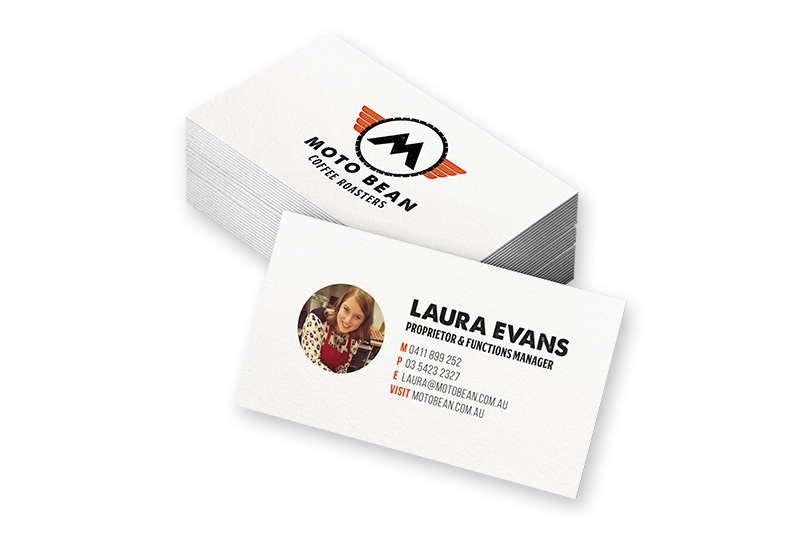 To expand upon the Moto Bean story the following design deliverables were created: flyers, postcards, packaging for their range of award-winning coffee beans, biodegradable coffee cups, signage, press advertising, stationery, posters and a customised, fully responsive e-commerce website. 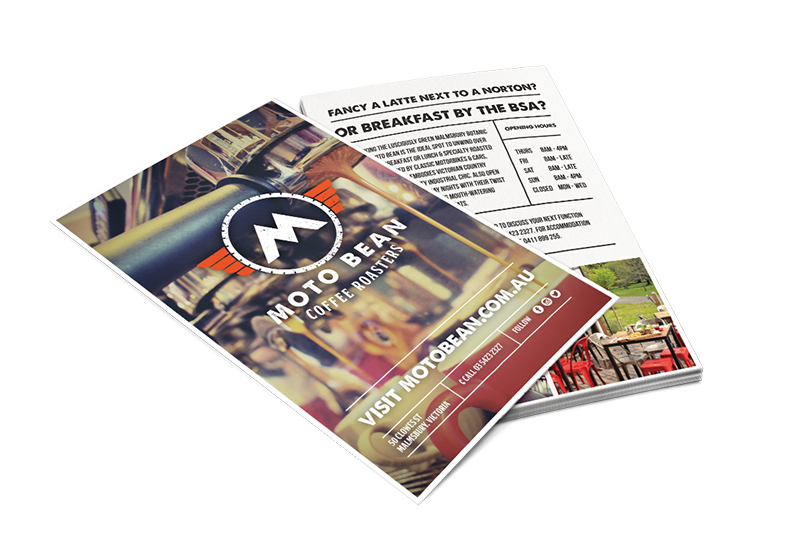 Overlooking the lusciously green Malmsbury Botanic Gardens, Moto Bean is the ideal spot to unwind over a sumptuous breakfast, lunch or dinner and specialty roasted coffee. Surrounded by classic motorbikes and cars, this popular eatery embodies Victorian country style but with inner-city industrial chic with its timber top tables, red iron chairs and very own kitchen garden. 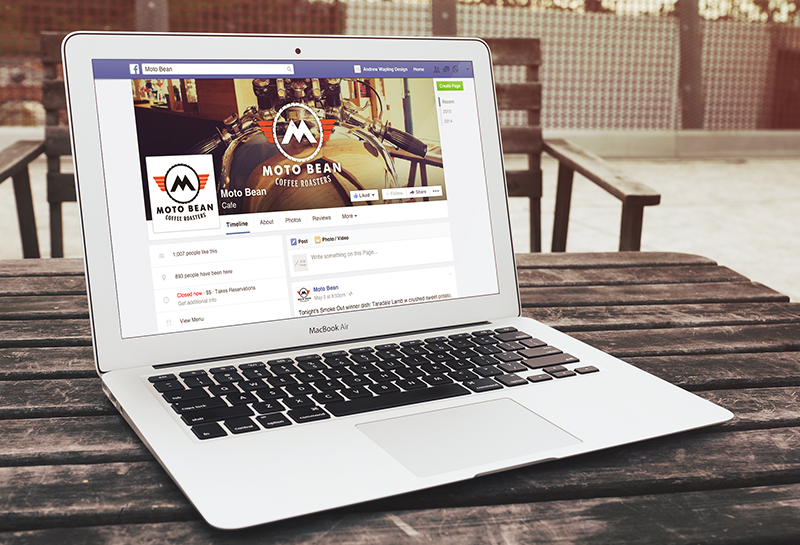 Moto Bean’s mouth-watering diner-style menu features a variety of in-house smoked and BBQ meats – think brisket burger on a brioche bun with cherry and apple slaw or the slow cooked pork shoulder roll served with beer battered chips. 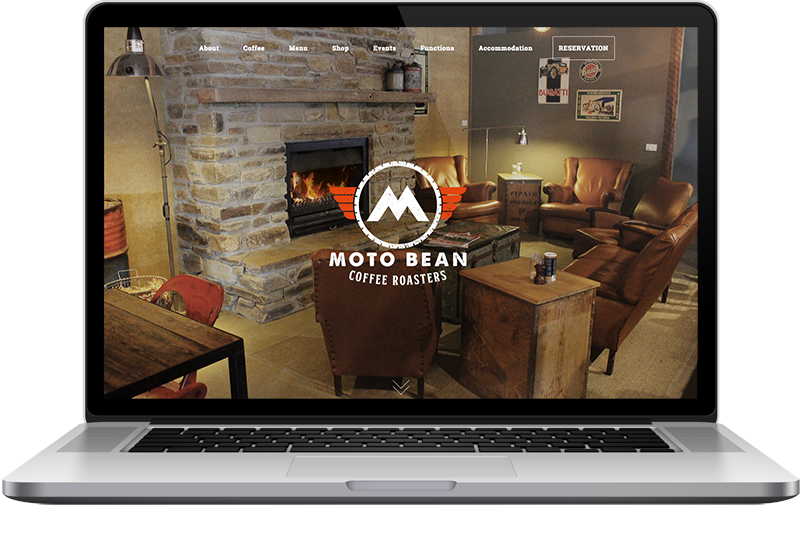 Those who can’t get enough of Moto Bean’s coffee can also purchase their own freshly roasted beans to take home. Thanks for getting in touch and great to make the connection with you. 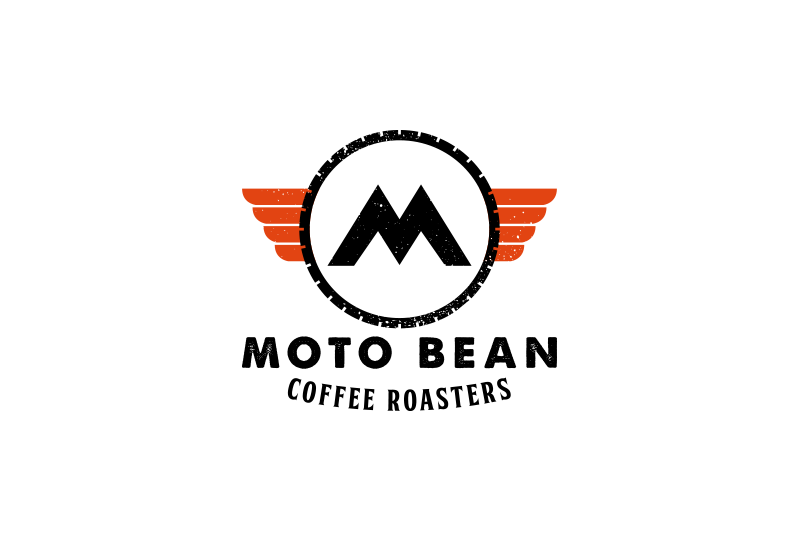 It sounds like a great project and I’d be happy to assist. I’ll email you directly to discuss in more detail.